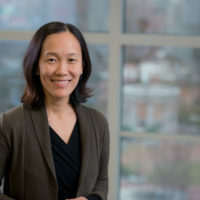 Esther Choo, MD MPH is an emergency medicine physician who completed her residency at Boston Medical Center and a health services research fellowship at Oregon Health & Science University (OHSU). She is Associate Professor in the Center for Policy and Research in the Department of Emergency Medicine at OHSU. Dr. Choo's research focuses on women's health, intimate partner violence, substance use disorders, and technology-based interventions. She is Past President of the Academy of Women in Academic Emergency Medicine and the recipient of the Society of Academic Emergency Medicine's Young Investigator Award. She serves as Associate Editor of Dissemination for the journal Academic Emergency Medicine.